Boxwood (huangyangmu) is a slow-growing evergreen found worldwide. 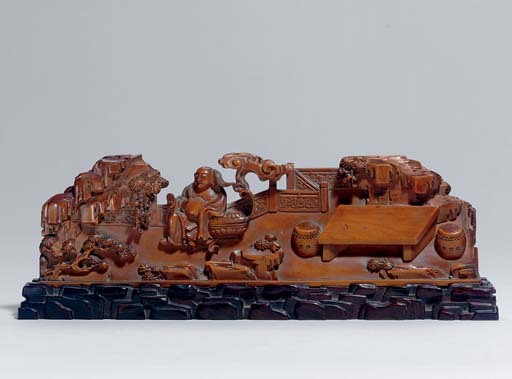 The dense quality of the wood, with its creamy yellowish-brown coloration and tendency to develop a lustrous and richly colored patina, made it a favorite of carvers during the Qing dynasty. This unusually low table screen would have been an ideal addition to the desk of a scholar, providing both inspiration and a calming diversion from daily activities.